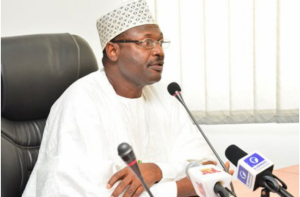 Independent National Electoral Commission (INEC) says twenty-three thousand (23, 000) ad hoc staff will be deployed for the November 18 governorship election in Anambra. The INEC Resident Electoral Commissioner in Anambra, Dr Nkwachukwu Orji, made the disclosure on Monday during the Election Management System Implementer Workshop for INEC officers in Awka. He said that the ad hoc staff included members of the National Youth Service Corps (NYSC) and those redeployed from other states. Orji described the Election Management System as a critical tool, which the commission required to effectively manage field assets, resources, constituencies and chains of electoral activities during election. He said the card readers that would be used for the election had been tested and were working effectively while the configuration of the cards would take four days from now. The REC explained that the training of the electoral and assistant electoral officers, security agencies and ad-hoc staff had been concluded. The National Commissioner of INEC South East, Prof. Okechukwu Ibeanu, represented by the Technical Adviser to INEC Chairman, Prof. Bolade Eyinla, urged the participants to take the training seriously as it would help in determining the outcome of the election in the state. The Project Manager of the European Centre for Election Support (ECES), and the trainer, Mr David Le Notre, said the election management system training would enable the commission deliver free, fair and transparent election in the state. Le Notre said the centre had been in partnership with over 50 countries in ensuring credible elections and hoped that Anambra election would not be different. He assured that the body would play fair role in its monitoring and assessment believing that INEC would do the needful that would entrench credibility in the election process. Some of the participants, who spoke with the News Agency of Nigeria (NAN) said they would play by the rules of the commission and promised to take the training seriously to enable the commission to succeed.